It would be interesting to see a graph of single 2nd/standard class single from Reading to London and compare that from the CPI graph below reproduced from http://www.in2013dollars.com/uk/inflation/1961?amount=100. I would like to see where the divergence is between rail fares and CPI. Grahame's quote of 7/6 for 1961 is much less than the 9/- quoted by Didcotdean for 1965 given the small inflation figures in that period, which suggests that the RDG-PAD route was already charging more than 2.5d (or tuppence ha'penny) per mile. That price suggest a route of 43 miles - is this price based on the Southern route? So today a RDG-PAD anytime single is £25.10 a 304% premium on the CPI calculated £8.25. First class fare of £44.90 is a 79% premium over the standard fare - considerably larger than the 50% premium given in the image posted by Didcotdean - a 367% premium on a 1961 calculation. I knew the railways were losing money in 1961 but they are not exactly in real profit today. In parallel to the above, I distinctly remember listening to my dad from the backseat of his Triumph Herald (no rear seat belts of course) in 1966/7 moaning that petrol was now costing 5/- per gallon - that is 5.5p per litre in 1967 monies = 99p/L today. Somewhere before I have located a resource that has kept the cost of various fares over the last 20 years or so but frustratingly I can't find it again right now. However, a Paddington-Reading single ticket in 1949 was 7/4, which suggests a long flat period for fares, although returns back then were not simply twice the fare - one valid for a month was 9/10. When I left school in 1961 and went to Slough to undertake a Sandwich Course sponsored by ICI the day return fare to Paddington was 2/6 (12.5p) which I took on many Saturdays/Sundays during my billetted time at Slough. A single to Bristol was 7/9 (38.75p) or 8/9 if one travelled via Paddington with a 2/6 (12.5p) supplement if one travelled in the luxury of The Blue Pullman (The Bristol Pullman) departing Paddington 5.45pm and scheduled to run non-stop to Bath Spa arriving at 7.20 pm and Bristol Temple Meads at 7.40pm. In comparison the express coach service provided by Bristol Greyhound/Royal Blue charged a period return fare of 4/6 (22 1/2p) which took about 4 hours with a 30 minute comfort break at Marlborough besides all the stops at Reading, Newbury, Hungerford, Calne, Chippenham. and Bath. There was no M4 in them days. When I passed my driving test and was able to persuade my father to let me use the family car PROVIDED I put something into the tank petrol was 2/6 (12 1/2p) per gallon. Two years on when I was the owner of my own vehicular transport and post the 1973 Middle East crisis petrol prices had risen somewhat, JET petrol had arrived on the scene and theirs was 4/- (20p) a gallon. Anybody reading this remember National Benzole, a fuel mix of petrol and benzene. Yes! The garage near us sold it - and my father had an account there. Buying petrol on account...now that seems odd today! Not quite, the credit card has replaced the garage account and in the end you still got to pay the bill. For those who are wondering what we are talking about. Confused here. I wasn't quite old enough to use money in 1973 but didn't shillings get replaced in 1971? Were things really still priced in shillings post 1973? I am most certainly old enough to remember £, shillings & pence (even halfpennies and farthings). But the term 4 bob (4/- or 20p) was still in use for several years after, it took everyone a long term to forget the old money, as most of the coins were exactly the same (excepting a few oddities like the thruppence piece -just over 1p in today's money, and of course the penny itself). More to the point, given everything got repriced at the time, it provides a good memory jogger for how much things have gone up since then. 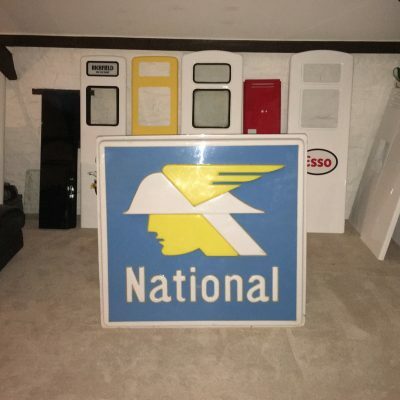 I'm a post decimalisation baby (although I've no idea what my height and weight are in new money) but I do remember National as a petrol station brand. My grandparents used to fill up in one and I remember getting collectable Smurfs merchandise. National used the Smurfs in their late 1970s ad campaigns. The example from the 1965 timetable is a little misleading, because what it doesn't say that the "return fare is double the single fare" only applied to Ordinary singles and returns. Singles had a three day validity and returns a three month validity for the return portions. "Ordinary" tickets were the latter day equivalent of today's Anytime tickets, although of course they have far shorter validities. So as you see there is nothing particularly new about the fares pickle that we are in now, but it is also important to look at the wider issue to understand why we are in the pickle we are in. Whilst it is easy to decry the TOCs for only charging 10 pence more for a return than a single, it has always been done to stimulate demand – in essence they are giving the punter an almost free ride home for buying the return. If the leisure traveller were charged double the single price for a return they may not think of it as such a “bargain” and so might not travel at all. Furthermore it is not just the railways that do this sort of thing. A long haul airline single ticket often costs more than a return – a lot more in some cases. Are they going to be targeted after the RDG has finished with the railways? Similarly, if you walk into Heathrow tomorrow morning and ask for a ticket on the next available flight to Glasgow, the price you’ll be asked for would be eye-watering compared to the fare you’d pay if you bought it a month before. And no-one is proposing to change that either. No – all of our ultra-complicated fares structure has been built up over time to encourage off peak demand and, if it is changed unwisely to be “fairer” it may well stifle demand. That is probably why the TOCs don’t really want to do anything about it, and the RDG need to be very wary indeed with their recommendations, for there will be winners and losers. And the winners won’t be grateful enough to spend any more money, whilst the losers might stop using the trains. In truth this whole issue ought to have been left in the “too difficult to do” file. We’ll see what happens in the end.